The Chorus has finished all its performances for this year. Check out the pictures from our previous concerts. Welcome to 7th and 8th Grade Chorus! Chorus is off to a great start this fall with several very talented singers. They are preparing for the first concert in December and it should be a super show. The Winter Concert will be held on Tuesday December 13th and Wednesday December 14th. The 13th will be the evening performance at 7:00 and the 14th will be the assembly for the school at 8:00 am. (snow dates are the 14th and 15th). Mark your calendars for the first concert of the year. During the month of October, some singers will be auditioning for the Junior High Music Festival. This Festival includes the best singers from most of the junior high/middle schools in York County. The Festival will be held at Biddeford Middle School on Saturday February 4th. Students who have been selected for the Festival will be notified by November 15. 7th and 8th grade chorus at the Junior High is held during tutorial/Spartan Time at the end of the school day. All students are welcome to join this group and will have alternating days of chorus. Band students may also participate in chorus - they will alternate band and chorus days. For specific questions regarding the band/chorus schedule, please contact Mrs. Neubert or Mrs. Baker Roux. Fallen Veterans Ceremony (in May). 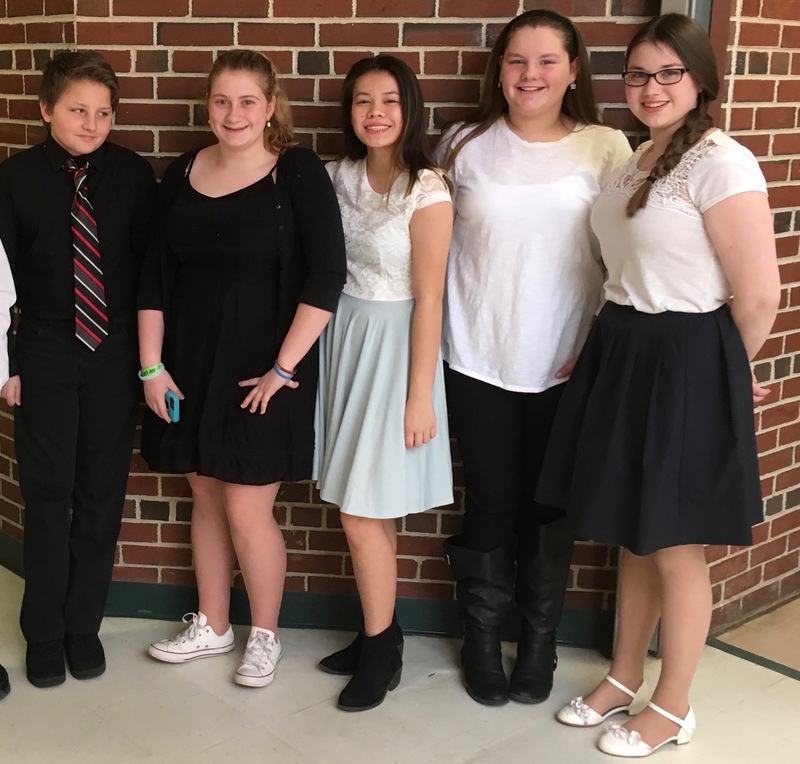 Chorus students also participate in the York County Junior High Music Festival (in February) and the Holly Daze event (in December). We also sing the national anthem at local events. For more information about Chorus, please contact Mrs, Neubert.